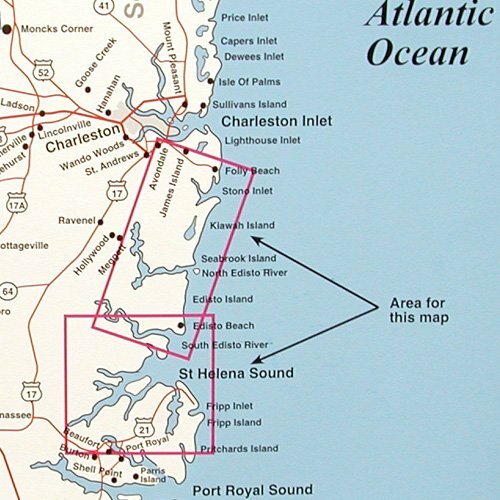 StonoInlet and Edisto Rivers to St. Helena Sound. 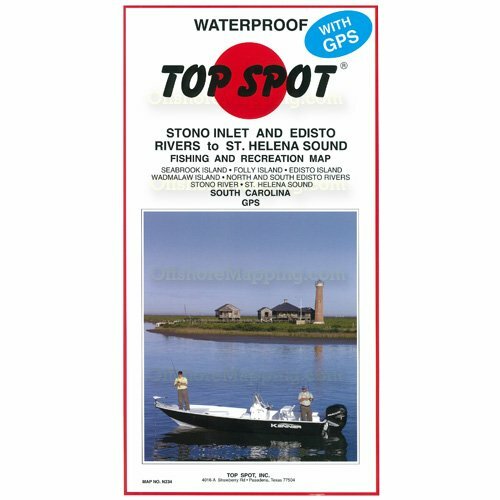 Folly Island, Fripp Island, Seabrook Island, Edisto Island, Wadmalaw Island, North and South Edisto Rivers, Stono River. Fishing and Diving Recreation Map. 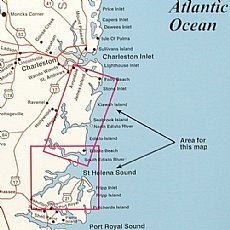 Folly Island to Fripp Island, South Carolina. 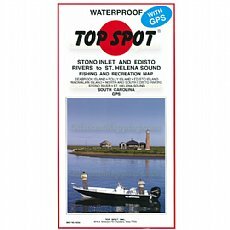 Top Spot Fishing Maps are waterproof and include best fishing times, the best habitats and underwater structure. Detailed information and GPS coordinates are provided for fishing locations, boat ramps, marinas and other points of interest. 2 sides, full color fishing and diving recreation map.